As many of you know, two days ago Instagram unveiled its new colourful logo. 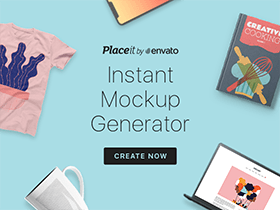 Like it or not, we have collected some useful freebie links. Today’s exclusive freebie is a set of 200 free misc icons designed by Smashicons and released exclusively for our readers. Dripicons v2 is a set of 200 free icons available in PSD, AI, EPS, PDF, SVG and Sketch formats and including a Webfont ready to be used in your web pages. 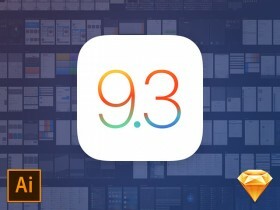 A complete UI kit for iOS 9.3 created by Rusty Mitchell. The kit is totally free and includes hundreds of elements for Illustrator and Sketch. An incredible pack containing 1000 free vector icons available in PSD, AI, EPS, PNG and SVG formats. Designed and released by Squid Ink. An incredible set of 35 coloured checkout and delivery icons for ecommerce. All icons are fully editable as they come in many different formats. 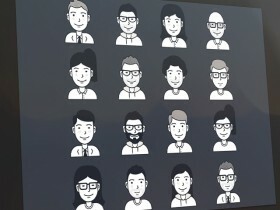 Today’s featured freebie is a set of 16 vector user avatar icons provided in Sketch and Illustrator formats. Designed and released by the User Insights team. Today’s exclusive freebie is a set of 12 colourful and pixel perfect music icons designed by Pramod Kabadi, a talented designer from Bengalore.